Illum l-ambjent sar parti essenzjali mil-lingwaġġ politiku li jużaw il-partiti politiċi ta’ kuljum. Imma jekk dan hux kaz ta’ konvinzjoni jew konvenjenza, hu storja oħra. L-ippjanar bl-addoċċ tal-użu tal-art tul is-snin flimkien mal-kaċċa irresponsabbli u insostenibbli kienu fuq quddiem fl-agenda ambjentali għal ftit taż-żmien mhux ħażin. Ġa ktibt b’mod estensiv dwar dan. Il-ħarsien tal-ambjent iżda, jfisser ħafna iktar minn hekk, avolja fiċ-ċirkustanzi partikolari ta’ pajjiżna kemm l-ippjanar għall-użu tal-art kif ukoll il-kaċċa ser jibqgħu fuq nett fl-aġenda ambjentali. Żewġ oqsma li bla dubju ser ikunu fuq quddiem nett fl-aġenda ambjentali tal-pajjiż fix-xhur u s-snin li ġejjin huma l-kwalitá tal-arja u l-iskart li niġġeneraw. Materji li ilna nitkellmu dwarhom is-snin bħala oqsma kruċjali li għandhom impatt fuq il-kwalitá tal-ħajja. Il-kwalitá tal-arja f’pajjiżna hi effettwata prinċipalment mill-emmissjonijiet tal-karozzi. Teħtieġ li tkun indirizzata permezz ta’ strateġija nazzjonali dwar it-trasport li tinkoraġixxi forom alternattivi ta’ aċċess sostenibbli bejn l-ibliet u l-irħula tagħna. 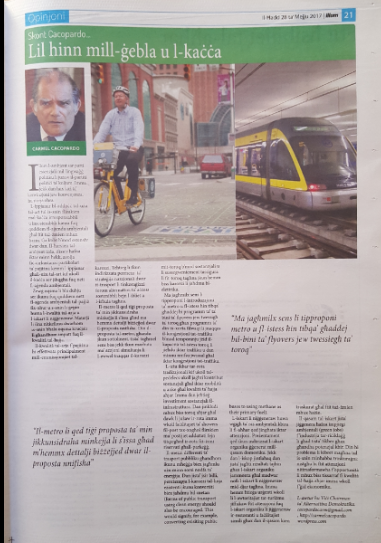 Il-metro li qed tiġi proposta ta’ min jikkunsidraha minkejja li s’issa għad ma hemmx dettalji biżżejjed dwar il-proposta nnifisha. Din il-proposta tal-metro, għandu jkun sottolinejat, tista’ tagħmel sens biss jekk tkun marbuta ma azzjoni simultanja li l-ewwel tnaqqas il-karozzi mit-toroq b’mod sostanzjali u li sussegwentement tassigura li fit-toroq tagħna jkun hemm biss karozzi li jaħdmu bl-elettriku. Ma jagħmilx sens li tipproponi l-introduzzjoni ta’ metro u fl-istess ħin tibqa’ għaddej bi programm ta’ bini ta’ flyovers jew twessigħ ta’ toroq għax programm ta’ din ix-xorta filwaqt li jnaqqas il-konġestjoni tat-traffiku b’mod temporanju jżid il-kapaċitá tal-istess toroq li jieħdu iktar traffiku u dan minn innifsu jwassal għal iktar konġestjoni tat-traffiku. L-użu ikbar tar-rota tradizzjonali kif ukoll tal-pedelecs ukoll jagħti kontribut sostanzjali għal iktar mobilitá u anke għal kwalitá tal-ħajja aħjar. Imma dan jeħtieġ investiment sostanzjali fl-infrastruttura. Dan jinkludi mhux biss toroq aħjar għal dawk li jużaw ir-rota imma ukoll faċilitajiet ta’ showers fil-post tax-xogħol flimkien ma postijiet addattati fejn titqiegħed ir-rota fiż-żoni riżervati għall-parkeġġ. Il-mezzi differenti ta’ trasport pubbliku għandhom ikunu imħeġġa biex jagħmlu użu minn sorsi nodfa ta’ enerġija. Dan jista’ jsir billi, pereżempju l-karozzi tal-linja eżistenti jkunu konvertiti biex jaħdmu bil-metan. L-iskart li niġġeneraw huwa wġiegħ ta’ ras ambjentali kbira li fl-aħħar qed jingħata iktar attenzjoni. Presentement qed ikun indirizzat l-iskart organiku ġġenerat mill-qasam domestiku. Jekk dan l-iskop jintlaħaq dan jista’ jagħti riżultati tajbin għax l-iskart organiku jammonta għal madwar nofs l-iskart li niġġeneraw mid-djar tagħna. Imma hemm ħtieġa urġenti ukoll li l-awtoritajiet tat-turiżmu jiffukaw ftit attenzjoni fuq l-iskart organiku li jiġġeneraw ir-restoranti u faċilitajiet simili għax dan il-qasam kien traskurat għal ftit taż-żmien mhux ħażin. Il-qasam tal-iskart jista’ jiġġenera ħafna impiegi ambjentali (green jobs) f’industrija tar-riċiklaġġ li għad tista’ tikber għax għandha potenzjal kbir. Din hi problema li kibret magħna tul is-snin minħabba traskuraġni: nistgħu bi ftit attenzjoni nittrasformawha f’opportunitá li mhux biss tissarraf fi kwalitá tal-ħajja aħjar imma ukoll f’ġid ekonomiku. It is obvious to everyone that the environment is nowadays an integral part of the political lexicon of all the political parties in Malta. Whether this is out of conviction or out of convenience is, however, another story altogether. Irrespective of the objective, it is still however positive to observe this development. 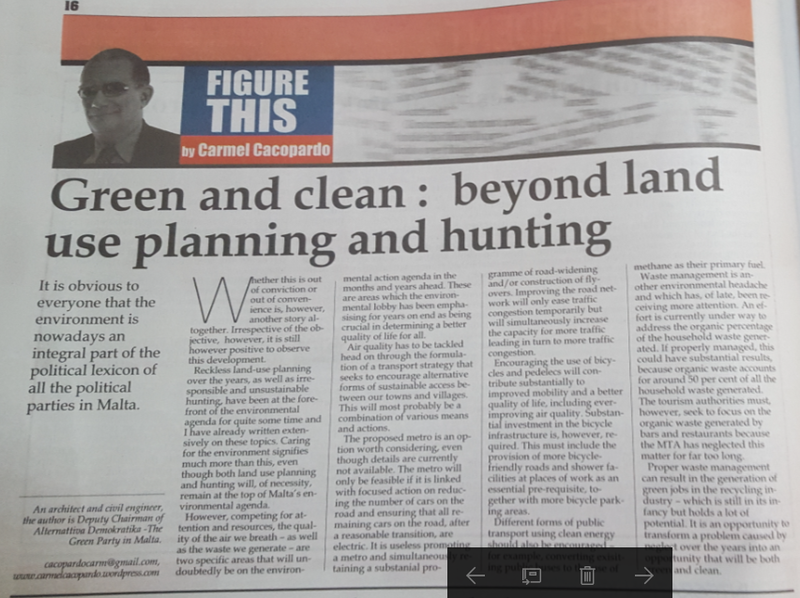 Reckless land use planning over the years, as well as irresponsible and unsustainable hunting, have been at the forefront of the environmental agenda for quite some time and I have already written extensively on these topics. Caring for the environment signifies much more than this, even though both land use planning and hunting will, of necessity remain at the top of Malta’s environmental agenda. However, competing for attention and resources, the quality of the air we breath – as well as the waste we generate – are two specific areas which will undoubtedly be on the environmental action agenda in the months and years ahead. These are areas which the environmental lobby has been emphasising for years on end as being crucial in determining a better quality of life for all. Air quality has to be tackled head on through the formulation of a transport strategy that seeks to encourage alternative forms of sustainable access between our towns and villages. This will most probably be a combination of various means and actions. The proposed metro is an option worth considering, even though details are currently not available. The metro will only be feasible if it is linked with focused action on reducing the number of cars from the road and ensuring that all remaining cars on the road, after a reasonable transition, are electric cars. It is useless promoting a metro and simultaneously retaining a substantial programme of road-widening and/or construction of flyovers. Improving the road network will only ease traffic congestion temporarily but it will simultaneously increase the capacity for more traffic leading in turn to more traffic congestion. Encouraging the use of bicycles and pedelecs will contribute substantially to improved mobility and a better quality of life, including ever-improving air quality. Substantial investment in the bicycle infrastructure is however required. This must include the provision of more bicycle friendly roads and shower facilities at places of work as an essential pre-requisite, together with more bicycle parking areas. Different forms of public transport using clean energy should also be encouraged – for example, converting existing public buses to the use of methane as their primary fuel. Waste management is another environmental headache, and which has, of late, been receiving more attention. An effort is currently under way to address the organic fraction of the household waste generated. If properly managed this could lead to substantial results as organic waste accounts for around 50 per cent of all the household waste generated. The tourism authorities must, however, seek to focus on the organic waste generated by bars and restaurants as MTA has neglected this matter for far to long. Proper waste management can result in the generation of green jobs in the recycling industry – which is still in its infancy but holds a lot of potential. It is an opportunity to transform a problem caused by neglect over the years into an opportunity which will be both green and clean. During the past weeks, the island of Comino has been in the news. 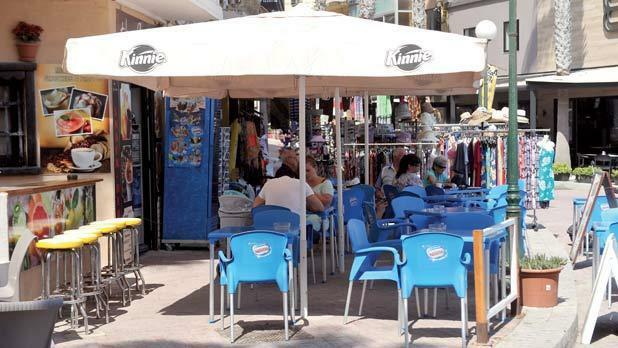 The controversy surrounding the deckchair/umbrella hawkers free-for-all at the Blue Lagoon focused on overcharging, breaching of permit conditions and the resulting lack of space for the public making use of public facilities at the beach. 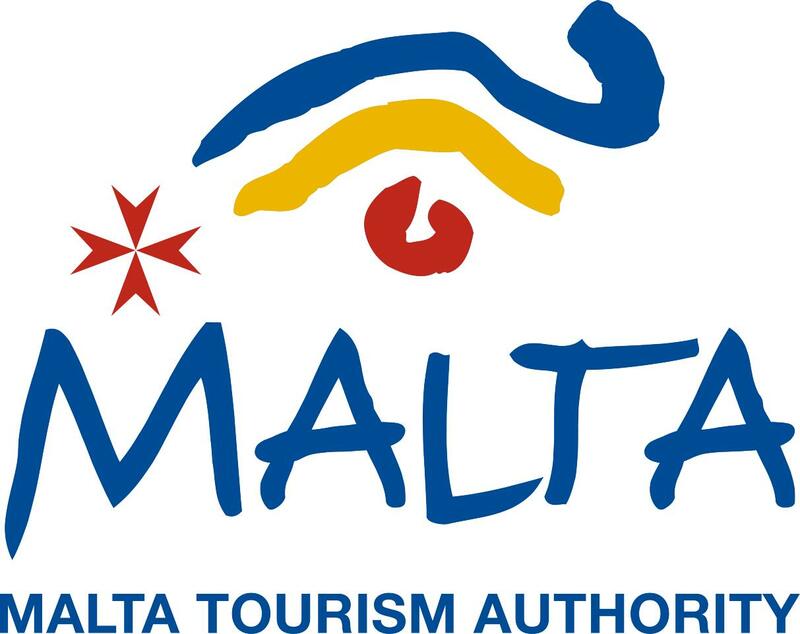 Fines were imposed by the Malta Tourism Authority. This is fine (pun intended) in the short term. However, we need to plan for the long term, keeping in mind that the island of Comino, is first and foremost a Natura 2000 site and a touristic destination second. Sites forming part of the Natura 2000 network are designated as Special Areas of Conservation (SAC) and Special Protection Areas (SPA) according to the Habitats and Birds Directives of the European Union, where habitats and species are listed. The Directives are designated to provide protection to the most vulnerable of the species listed. It has been stated that every day, at the peak of the summer season, as many as 5,000 visitors land on Comino, most of whom remain in the Blue Lagoon and its environs . The Natura 2000 Management Plan for Comino published recently, considers that tourism at the Blue Lagoon needs to be controlled efficiently in order to ensure that it is “in harmony with the site’s conservation needs”. One of the measures which the Comino Management Plan establishes as an operational objective is “to plan and implement a tourism carrying capacity assessment of the Blue Lagoon”. The Management Plan believes that the tourism carrying capacity assessment should be carried out within the first year of the plan’s implementation, which means pretty soon! The issue is of fundamental importance in ensuring that the activity permitted on the island of Comino is compatible with its ecological requirements. It is not known whether this carrying capacity assessment has been carried out yet. If not it should be done at the earliest. This is not the first time that Maltese authorities have been asked to consider a proposal to study the possibility of limiting access to a specific site for protection purposes. Around 12 years ago, after rehabilitation work carried out at the Hypogeum in Ħal-Salfieni was concluded, it was decided that there was an urgent need to control its microclimate in order to better protect this archeological jewel so a maximum limit of 80 visitors per day was established. Various other countries place limits on tourism in order to better control its environmental impacts. There are various examples, but permit me to point to the Brazilian archipelago of Fernando de Noronha, 545 kilometres off the coastal city of Recife. The archipelago is a UNESCO World Heritage site and the number of visitors is restricted in order to adequately protect its environmental patrimony. The environmental protection rules of the Brazilian archipelago of Fernando de Noronha go into such detail as to even forbid the use of sunprotection lotions/creams or even the use of footwear on the beach, as well as curtailing various other activities incompatible with the archipelago’s ecological characteristics! It is a path we should consider following for Comino, if we are serious about protecting the little that we still have. It is welcome news earlier this week as three of Malta’s environmental NGOs, Din l-Art Ħelwa, Friends of the Earth and Nature Trust, have endorsed the proposal for carrying out the capacity assessment of the Blue Lagoon at Comino. Comino deserves our protection. Implementing the Natura 2000 Management Plan for Comino would be a suitable first step. Qed isiru diversi laqgħat minn esponenti tal-Gvern mal-korpi kostitwiti bl-iskop li jiddiskutu miżuri li għandhom ikunu kkunsidrati fil-Budget li ġej, ġimgħatejn oħra. 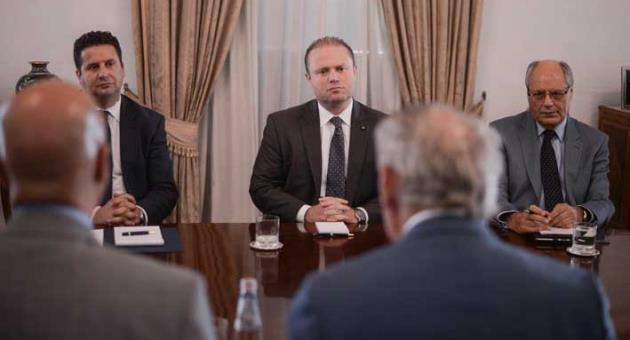 F’laqgħa li l-Prim Ministru Joseph Muscat kellu l-bieraħ mal-MHRA (l-Assoċjazzjoni Maltija għal-Lukandi u r-Restoranti) il-Prim Ministru hu rappurtat mill-Malta Independent li qal li ma jistax ikollok lukanda ta’ sitt stilel imbagħad ambjent ta’ tlett stilel madwarha. Inews ikkwota lill-Prim Ministru jgħid hekk: “meta jiżdiedu t-turisti donnu ż-żibel ma jinġabarx u din issa se tkun fuq l-aġenda”. Billi kellu lil Winston Zahra (President tal-MHRA) quddiemu, u lil Edward Zammit Lewis Ministru tat-Turiżmu ħdejh kien ikun għaqli kieku l-Prim Ministru staqsihom ftit biex jgħidulu x’jagħmlu r-ristoranti bl-iskart li jiġġeneraw, primarjament fiż-żoni turistiċi. Seta staqsihom jekk hux veru li dawn fil-liċenzja tagħhom li toħrog l-Awtorità Maltija tat-Turiżmu (MTA) għandhom kundizzjoni li teħtieġilhom li jkollhom kuntratt ma’ operatur privat tal-iskart (li jħallsuh huma) li jieħu ħsieb jiġbor l-iskart li huma jkunu ġġeneraw u jiddisponi minnu. Dan l-obbligu li għandhom is-sidien tar-restoranti qiegħed jiġi onorat? Il-Ministru tat-Turiżmu naħseb li jaf li l-MTA f’diversi lokalitajiet m’hiex tinforza din il-kundizzjoni tal-liċenzja. Minflok l-iskart iġġenerat qed jispiċċa fit-toroq, piz żejjed fuq il-Kunsilli Lokali. Tajjeb hekk Joseph? Dan m’huwiex servizz ta’ tlett stilel mis-settur privat. Għax l-anqas jikkwalifika għal stilla waħda. Joseph jekk irid jista’ jdur dawra għall-għarrieda u jkun jista’ jara b’għajnejh. Forsi l-ħmar ma jibqax iwaħħal f’dembu. Imbagħad naraw min jara l-istilel. Għax qabel ma jigglorifika lis-settur privat ikun aħjar kieku Joseph jara li dawn jerfgħu r-responsabbiltajiet tagħhom. Illum ġie ippubblikat għal konsultazzjoni pubblika dokument dwar il-kriterji li fuqhom jiġu ikkunsidrati permessi għal siġġijiet u mwejjed f’postijiet pubbliċi. Ħlief għall-one-stop-shop, fis-sustanza ma hemm xejn ġdid fid-dokument għax diġà anke fil-preżent suppost li min għandu permess simili għandu ukoll l-obbligu li jħalli 1.50 metri passaġġ minn fejn jgħaddu n-nies. Issa kieku jitħallew dan il-metru u nofs il-ħajja tkun iktar faċli għal kulħadd. Imma fil-fatt f’numru ta’ każi ma jitħallewx. Mur fejn trid f’Malta u Għawdex u għandek issib numru mhux żgħir ta’ każi fejn jekk tipprova tgħaddi mill-ftit spazju li jħallu fuq il-bankina, jħarsulek bl-ikrah. Il-Belt, Tas-Sliema, in-Naxxar u San Pawl il-Baħar issib eżempji kemm trid. Bil-kemm tgħaddi bil-mixi aħseb u ara jekk tkun b’xi siġġu tar-roti inkella b’xi tarbija (fl-idejn jew fil-pram). Fid-dokument ta’ konsultazzjoni jingħad li jkunu ikkunsidrati applikazzjonijiet għall-permessi fil-pjazez u bankini bil-kundizzjoni tal-1.50 metri li għandhom jitħallew passaġġ. Imma meta tibda taqra tibda issib numru ta’ eċċezzjonijiet. Per eżempju, fid-dokument jingħad li f’xi każijiet, jista’ jkun ikkunsrat li l-permess ma jkunx biss biex jitqegħdu imwejjed fuq il-bankina, imma jistgħu jkunu ikkunsidrati l-ispazji tal-parking ukoll! Id-dokument fih ħafna logħob bil-kliem, bħall-ħafna dokumenti oħra konnessi mal-ippjanar għall-użu tal-art. Id-dokument jgħid li d-drittijiet ta’ terzi [third party rights] għandhom ikunu imħarsa meta jinħargu dawn il-permessi. Din hi daħqa oħra għax nafu kemm fil-prattika jiġu mħarsa dawn id-drittijiet mill-awtoritajiet pubbliċi f’Malta. L-eżerċizzju biex inħareġ dan id-dokument ta’ konsultazzjoni sar bil-koordinazzjoni ta’ Kumitat li kien fih parteċipazzjoni wiesa’ : kien hemm bosta minbarra dawk li huma l-iktar viċin in-nies: ma kien hemm ħadd mill-Kunsilli Lokali. Fil-fatt kien hemm rappreżentanti tal-Ministeru tal-Intern, tal-MEPA, ta’ Transport Malta, tad-Diviżjoni tal-Propjetà tal-Gvern u tal-Awtorità tat-Turiżmu, u l-Assoċjazzjoni tar-Restoranti u l-Lukandi (MHRA). Il-Kunsilli Lokali u r-residenti ma kienux meqjusa ta’ importanza biex jipparteċipaw f’dan l-eżerċiżżju, bħal dak li qallu li l-bankini, t-toroq, il-parking spaces, u pjażez li ser jieħdu (jew ħadu diga) mhux ir-residenti jagħmlu użu minnhom s’issa. Issa s-siġġijiet u l-imwejjed ser jibdew jingħataw prijorità. Il-permessi ser jibdew jinħarġu mill-MEPA. Ser jinħareġ bis-sistema ta’ one-stop-shop. Jiġifieri applikazzjoni waħda biss li ma tieħux ħafna żmien biex tkun deċiża. Din hi sistema li tiffavorixxi lin-negozji u dejjem taħdem kontra r-residenti. Għax biex permess joħrog malajr ifisser li ftit li xejn ikun hemm ċans li min ikun effettwat bih isir jaf (jew ikun infurmat). Insomma nistgħu ngħidu li dan m’hu xejn ġdid. Il-bankina issa m’għadiex tagħna lkoll, ser tkun tagħhom biss. First published in 1973, Ernst Schumacher’s Small is Beautiful – economics as if people mattered has always presented a challenge to politicians and economic planners. It contrasts to, and in many instances it actually is, the direct antithesis of the “economies of scale” and as such it is often discarded by those who dream of quick results. Schumacher, an economist by training, had one specific message: the promotion of people-centred economics. Our economics are profit-focused, with decisions being constantly made on profitability criteria, rather than on human needs. People should come before profits. Human needs as well as environmental impact should be factored in at the drawing-board stage of all economic decisions. Reading through plans and strategies on the development of tourism in Malta over the years, one inevitably reaches the conclusion that these plans and strategies are focused on hotels, as if nothing else mattered. Tourism is, however, much more than hotels and the hotel industry. It is only fairly recently that some thought is being given to boutique hotels and agri-tourism: alternative, small-scale tourism opportunities. Yet much more needs to be done if we are to move along the path of sustainable tourism which, whilst being practically harmless environmentally, can be of considerable benefit not just to our economy but also to our families, in particular those in small communities. Earlier this week, I was alerted by residents in Lija to an application submitted to MEPA [PA2822/15] to convert a large townhouse in a residential area into a boutique hotel. This proposed hotel would have nine bedrooms with ancillary facilities and it covers a total area of 1,110 square metres, including a garden. When finished, it could cater for a maximum of twenty guests. Being small, such a boutique hotel would fit in easily in any of our towns or villages. 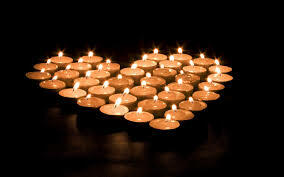 Its impact would be compatible with that generated by three or four families in the community. Being generally family-run helps considerably to give a human face to this tourism outlet as well as offering excellent service. However the local residents are worried about the compatibility of this development with the residential nature of the area. Their worries are not just about the impact of the hotel’s services but more on the possible spinoffs such as whether the bar and restaurant, as well as the swimming pool – to be constructed in what is currently the garden – would be open to people who are not actually staying in the hotel. The residents are worried about noise pollution well into the silent hours, the generation of increased traffic and subsequent parking problems – problems they associate with such spin-off activities. The residents cannot be blamed for their concerns because no one has explained what the practical operational limits of boutique hotels will be – and this is because there are no MEPA guidelines on the subject. The various applications for the provision of boutique hotels that MEPA has processed in the recent past are considered within existing general policies. 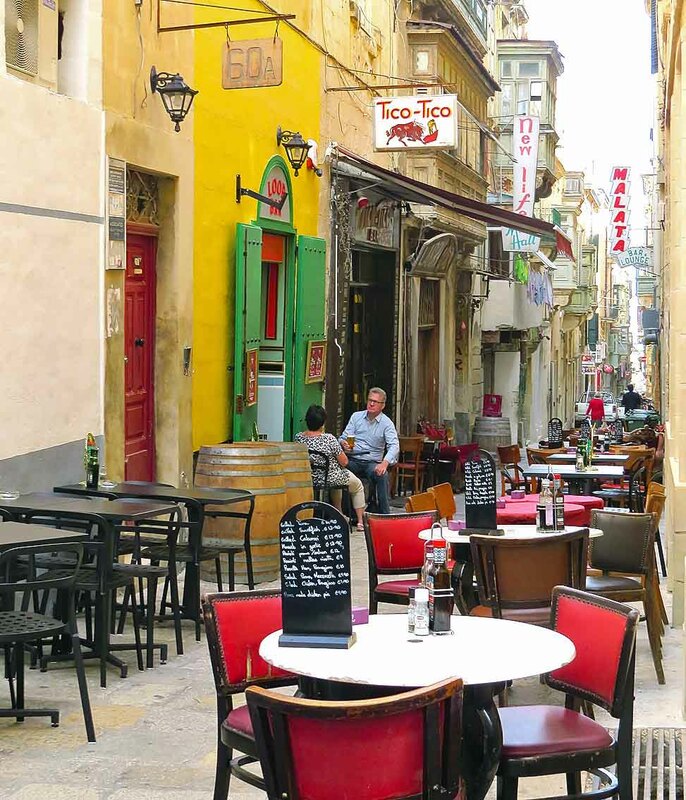 Likewise, perusal of the Malta Tourism Authority’s website does not reveal any guidelines to help prospective developers of boutique hotels navigate the relatively unchartered waters of such an activity in a residential area. A number of local councils are similarly concerned because, although they understand and appreciate the benefits to the local economy of encouraging the use of large properties as boutique hotels they are apprehensive about the collateral damage to community life. Large townhouses as well as historical buildings in our towns and villages can be given a new life by being converted to boutique hotels but great care must be taken to ensure that this development is not driven by economics alone. It needs to be community driven and local councils in particular need to be partners in this drive to develop an untapped area of sustainable tourism. If handled properly, it is potentially a win-win situation but the concerns of the residential communities must be addressed immediately. If this is done, tourism will take a gigantic step forward as it will develop a human face. Qed ikellmuni residenti minn lokalitajiet diversi. Uħud minnhom huma inkwetati li ħdejhom ser tfaqqas boutique hotel. Il-biża’ ta’ dawn ir-residenti hi li ser ikollhom invażjoni tal-ħajja kwieta tagħhom fl-irħula żgħar tagħna. Qaluli li jibżgħu li dawn il-lukandi żgħar ser jiftħu l-faċilitajiet tagħhom bħal swimming pool, bar u restaurant għal persuni li ma jkunux residenti fil-boutique hotel. Jiena naħseb li dan hu improbabbli li jsir għax kieku kellu jsir hekk dawn il-boutique hotels fl-irħula jitilfu l-karatteristika prinċipali tagħhom: post fil-kwiet. Post il-bogħod mill-istorbju. Post ta’ mistrieħ fejn l-atmosfera hi waħda ta’ familja u mhux waħda kummerċjali. Anke l-movimenti dwar xiri tal-ikel, inkella ta’ skart fil-boutique hotels m’għandux ikun wieħed straordinarju. Għandu jkun daqs, jew ftit iktar minn dak ta’ familja medja f’Malta. Qed ngħid dan għax id-daqs indikat lili tal-boutique hotels ippjanati f’Malta mhux wieħed kbir. Hu fil-fatt kompatibbli mal-binjiet ħdejhom fl-irħula tagħna. Ta’ l-inqas il-parti l-kbira minnhom. Il-boutique hotels għandna bżonnhom f’Malta għax dawn jistgħu jifirxu x-xogħol konness mat-turiżmu fl-irħula tagħna u għandhom jinkoraġixxu tip differenti ta’ turiżmu. Mhux biss. Jistgħu jkunu ta’ għajnuna kbira biex ikun riabilitat bini qadim mitluq kif ukoll jistgħu jservu ta’ spinta biex nieħdu ħsieb aħjar bini storiku fl-irħula tagħna li spiċċa bla użu. Peró jkun tajjeb li l-Kunsilli Lokali jiċċaqalqu u flimkien mal-MEPA u l-Awtorità tat-Turiżmu jfasslu linji gwida flessibli dwar il-boutique hotels li tista’ isserraħ ras kulħadd. Għax sfortunatament, jekk tfittex fuq il-website tal-Awtorità tat-Turiżmu, inkella fuq il-website tal-MEPA ma issib xejn. Biex inkun ċar, ma nistax ngħid li kull proposta ta’ boutique hotel f’Malta ser tkun bla impatti fuq ir-residenti. Imma jekk noqgħodu attenti nistgħu nassiguraw li dan ikun hekk. Forsi ma tafx kif għal darba l-MEPA ixxaqleb lejn ir-residenti! Mill-bqija kull min jixtieq għajnuna dwar xi applikazzjoni pendenti fil-lokalità tiegħu dwar boutique hotels u l-impatti fuq ir-residenti jista’ jikkuntattjani u safejn hu possibli nagħti l-għajuna tiegħi biex ikunu iċċarati l-affarijiet. Għall-Pulizija kien gravi ħafna li għax mara barranija żifnet fis-sakra quddiem il-marċ waqt il-festa ta’ Stella Maris f’Tas-Sliema din kellha tittella’ l-Qorti. Kieku l-Pulizija jtellghu l-Qorti lil kull min ikun fis-sakra waqt il-marċ tal-festa, jispiċċaw itellgħu l-Qorti mijiet jekk mhux eluf ta’ nies. Imma din kienet mara u barranija. Riedu jagħmlu show. Min-naħa l-oħra min ilu jopera lukanda f’Buġibba (Hotel Damiani) bla permessi, tal-MEPA u tal-Awtorita’ tat-Turiżmu bil-kemm indunaw bih. 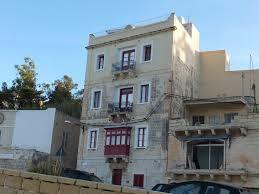 Ħadd mill-awtoritajiet ma nduna. Possibli li ma kienx hemm min kien jaf ? Bir-reklami li hemm online dwar il-lukanda diffiċli ħafna biex ħadd ma induna bil-każ qabel, u għalaq għajnejh. Imma kieku kienet mara barranija bil-bikini l-Pulizija kienet tinduna. Imma lukanda illegali mmexxija minn Maltin, mhux bil-bikini, dik donnu diffiċli biex jindunaw biha! La l-Pulizja, la l-enforcement officers tal-MEPA u l-anqas l-uffiċjali tal-Awtorita’ tat-Turiżmu. Ovvjament għax ħadd ma kien bil-bikini. L-anqas ma jimporta xejn li min hu responsabbli minn dan kollu jibqa’ membru fuq il-Bord ta’ Transport Malta. M’għandux x’jaqsam, qal kelliemi għall-Ministeru responsabbli meta kien mistoqsi jekk hux ser jintalab jirreżenja. Għaliex m’għandux x’jaqsam? Min ma ħasibiex darbtejn biex b’mod sfaċċat jisfida l-liġijiet tal-pajjiż ma jistax ikun afdat bit-tmexxija ta’ awtorita’ pubblika. Meta l-Gvern jafda u jipproteġi lil dan it-tip ta’ nies ifisser li qiegħed jipproteġi lil min jabbuża. Meta l-Gvern jaħtar jew iħalli lil dan it-tip ta’ nies fuq il-Bordijiet qed jagħti messaġġ ċar: li hawn min hu il-fuq mil-liġi. Fil-passat għaddejna minn żminijiet simili, u tfarrak il-pajjiiż kollu magħhom. Hemm ħtieġa urġenti li nitgħallmu nkunu pożittivi. Ankè minn inċident serju bħall-ħsara li żviluppat fil-Power Station fil-lejl ta’ bejn it-Tlieta 12 u l-Erbgħa 13 t’Awwissu hemm ħafna x’nitgħallmu. Malta fi dlam ċappa jew Malta fid-dawl tax-xemgħa? Flok tisħet id-dlam mhux aħjar tixgħel xemgħa, forsi nkunu nistgħu nirreklamaw lil Malta bħala a candlelight destination. Malta romantika. Inkella, kif tista’ tmur lura fiż-żmien waqt li tkun membru tal-Unjoni Ewropeja? Speċi ta’ Burkina Faso fil-Mediterran. Tistħajlek qiegħed f’Ouagadougou fil-kwiet, fis-sliem, serħan il-moħħ u fi dlam ċappa. Problema waħda biss kien hemm. Jidher li bħala pajjiż m’aħniex ippreparati għal dawn l-inċidenti. Il-Marsa, Ħal-Qormi, Ħaż-Żebbuġ, Is-Siġġiewi u postijiet oħra, dal-għodu l-Erbgħa kien għad ma kienx hemm provista ta’ elettriku. Fis-seklu 21 dan m’huwiex aċċettabbli. L-anqas ma huwa aċċettabbli li l-unika airport tagħna – dak tal-Gudja – li għal xi ħin matul il-lejl għalaq, m’għandux pjan ta’ kontinġenza f’każ li ma jkollux provista diretta tal-elettriku. L-inċident fil-power station hu serju ħafna. Li l-Korporazzjoni Enemalta iddum ma tirrimedja hu serju ukoll. Imma li l-MIA jkollha tagħlaq l-airport huwa ta’ gravita’ kbira. L-ebda pożittivita’ ma tista’ tirrimedja għal din il-ħsara kbira. Hemm ħafna mistoqsijijiet li jeħtieġu tweġiba immedjata. Il-Korporazzjoni Enemalta trid tispjega dwar xi programm ta’ maintenance għandha għall-impjanti kollha li topera. Trid tispjega x’miżuri ħadet u x’miżuri qed tieħu biex tantiċipa l-ħsara, kif ukoll għaliex il-ħsara tal-lejl li għadda ma kienitx antiċipata. Fil-waqt li naċċetta li l-ħsara tista’ tiżviluppa f’daqqa mingħajr ma jkun possibli li tidentifika din il-ħsara minn kmieni jrid ikun ċar x’għamlet u x’qed tagħmel l-Korporazzjoni Enemalta biex tantiċipa. Huwa importanti ukoll li l-Korporazzjoni Enemalta tkun kapaċi tirrimedja f’ħin qasir kull ħsara li tista’ tiżviluppa u dan għax din il-ħsara lill-pajjiż tiswielu ħafna. Tiswa’ mhux biss fi flus imma tiswa’ ħafna iktar f’reputazzjoni ħażina li tagħmel ħsara kbira fit-tul lill-pajjiż kollu. Ma nistgħux inkunu l-Burkina Faso tal-Mediterran. Hemm bżonn ukoll li l-Airport Internazzjonali ta’ Malta (MIA) jispjega għaliex kien neċessarju li għal xi ħin jingħalaq l-ajruport b’diversi ajruplani jinżlu f’ Catania, Trapani jew Palermo. Għaliex l-MIA ma kelliex aċċess għal provista alternattiva tal-elettriku? Mela veru li f’idejn il-privat l-airport flok mar il-quddiem mal-lura? L-impatt tal-egħluq tal-ajruport għamel u ser jagħmel ħsara kbira lir-reputazzjoni ta’ dan il-pajjiż. Inutli li l-Awtorita tat-Turiżmu tonfoq il-miljuni biex tirreklama lill-Malta għax ir-reklam tal-Korporazzjoni Enemalta u l-MIA jinnewtralizzhom kollha. Fid-dawl (jew fid-dlam) ta’ dan kollu kif tista’ tkun pożittiv? L-inkompetenza u d-delettantiżmu fit-tmexxija ta’ dan il-pajjiż fil-livelli kollha tiegħu qed teqirdu ftit ftit.